What is roadschooling? Well, it’s exactly what it sounds like! It’s homeschooling while you’re on the road. 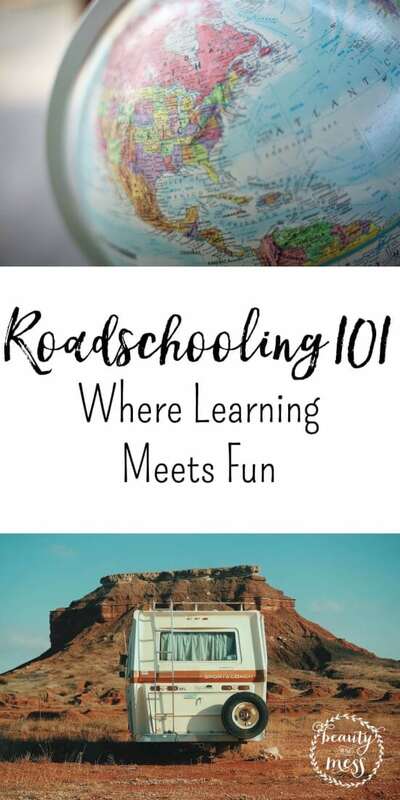 Whether you’re traveling for a few weeks or a few years, roadschooling is an amazingly flexible option that works well for all ages and learning abilities. 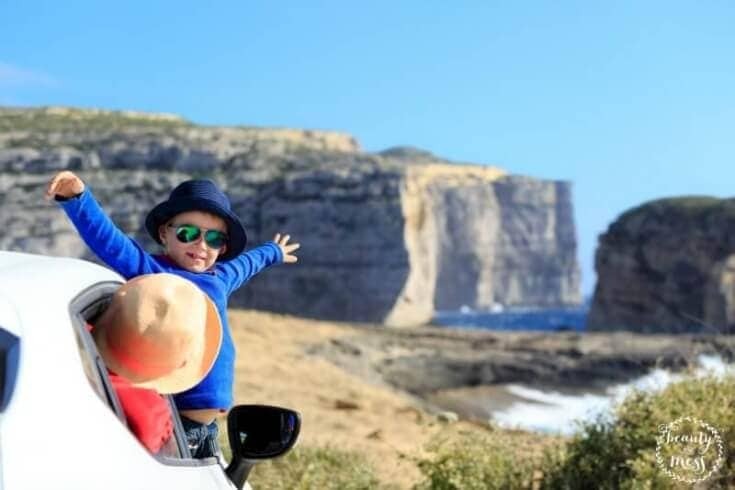 Roadschooling is not something that has to be temporary, but you can “roadschool” while you’re traveling for the summer or even for the holidays, without making a commitment to roadschooling year round. Obviously the simplest options for roadschooling would be to either continue using your own traditional curriculum and tailor it to your needs while on the road, or working ahead to where you can take a break from actual schooling while on the road. Let the trip be the learning experience! Your kids – and you – will still be learning, but not in such a traditional, boxed in way. The world is your classroom, and there are no limits to learning when you do homeschooling in this way! Child-led learning is huge in the roadschooling community, and for good reason. Picture this: you pull out a map (or pull one up online), and create a road trip plan with the kids. Once you have the path of travel mapped out, have the kids look up points of interest along the way. Older kids can even help find campsites for when you need a place to park for a bit. On your trip, you’ll also need to plan your meals. Creating menu plans, writing up grocery lists, and grocery shopping are all learning experiences that kids don’t necessarily get when they’re in school all day long. When you plan a trip to the grocery store, are you walking, driving the RV, driving a car? How are you getting there? How many miles per gallon does that method take? How much is gas per gallon, and per mile? You’ve now covered many subjects with things you do each week without even trying. Say you visit a museum on your trip this week. Not only was the actual visit a learning experience, you can easily turn the visit into a unit study. Did you visit an aquarium? The ideas that pop in my head for a unit study related to an aquarium are endless, and they work with all ages! The National Park Service provides many resources for homeschooling families, too. They have everything from virtual field trips and distance learning, to free park passes and educational materials on loan. They have a mobile app, and free park days that you’ll want to look out for. I mentioned these earlier, but truly, unit studies are life savers. 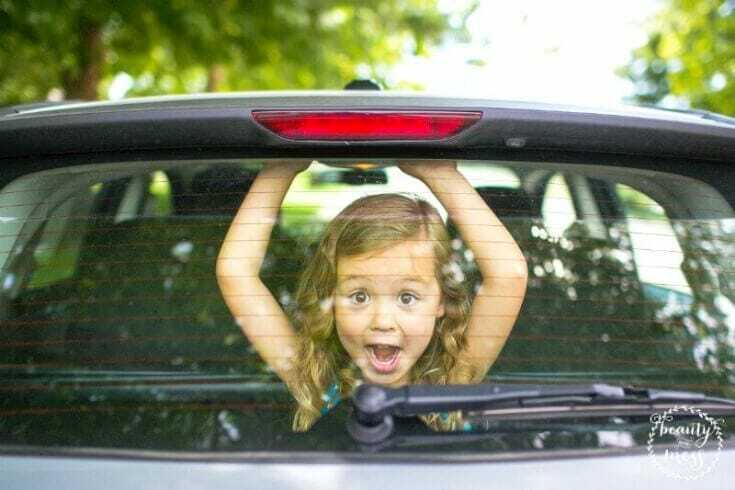 Roadschooling is a great way to homeschool children of different ages and grade levels without tons of extra work, too. That is just another reason we love unit studies. One idea that really stuck with me is having each child choose a project. I first saw this over at Wandrly Magazine, and fell in love! Their 11 year old “collected dead people”, meaning she kept an eye out for historical figures like Mozart in Vienna, Marie Antoinette in Paris, etc. She read about them, wrote about them, and told their stories in her journal. This is wonderful handwriting practice. Better yet, if they don’t need the extra handwriting practice, have them create a blog detailing the stories of these figures. Their 9 year old photographed churches. He learned a lot about the differences between gothic and renaissance architecture, and the famous painters who had decorated the churches. On the subject of photography, this is such a huge topic… the possibilities are endless! You can photograph pretty much anything. Think nature, weather, beaches, forests, people, animals, stars, the list goes on. Their 7 year old collected postcards, which I think is a great thing for all of the kids to do while roadschooling. Either mail them home or keep them in a scrapbook. Create a project surrounding each state or even each major city, depending on how long you stay in each. If you mail them back home, have the kids teach their relatives about what they are learning. Here is yet another opportunity for them to create a blog. Basically, choose a project that can run the course of your trip if you’re just doing this while short-term traveling. Choose a project that lasts a few weeks or even a few months if you’re roadschooling full time, long-term! The kids will love it, and generally speaking you’ll be able to tell when they’re ready to move on to another topic. This is why student-led learning works so well. Not ready to create your own curriculum? Time4Learning has a roadschool-friendly curriculum, and it is affordable which is an added bonus. There are other choices for curriculum – many that will work well with your roadschooling adventure. Just be sure to use one that is flexible in case you change your mind on your definition of “learning” some time down the road. Many families start out with a traditional type of homeschooling on the road, with extra fun thrown in to make it roadschooling. However, as time goes on, most decide to change things up completely! Time4Learning is an online education program that combines 1000+ multimedia lessons, printable worksheets and graded activities in a student-paced environment that brings concepts to life. Math and language arts lessons are correlated to state standards. Science, social studies and art are also provided as a bonus to most grades. It’s a great complement to the learning that takes place on the road. Because Time4Learning doesn’t assign the curriculum, you have an entire year’s worth of material that can be navigated as you see fit. View their curriculum overview to see what’s available. We’ve also found Reading Kingdom to be great for our reading curriculum as it’s all online. My children ask to “play” Reading Kingdom all the time. It’s great because they are enjoying learning. Spelling City – We mostly use this for spelling word lists by grade. Brainscape – Web and mobile educational platform. Games, learning, etc. Khan Academy – You can learn pretty much anything here, and it’s all free. Letterboxing – If you have room in your RV for a homeschool station, you can definitely do letterboxing. Geocaching – If you haven’t tried geocaching yet, you’re going to get hooked! Starfall – This one is for the younger kids, but is great for reading and spelling. ABCya – Online educational games for younger kids. Eduhound – Huge collection of topic-based educational resources. Roadschooler Blogs – A collection of 100 roadschooling blogs. Some are outdated, but still have great posts available to read. Virtual Vine – Large collection of printables to use for homeschooling. Pink Monkey – Nearly 500 study guides and other resources for middle school and higher. 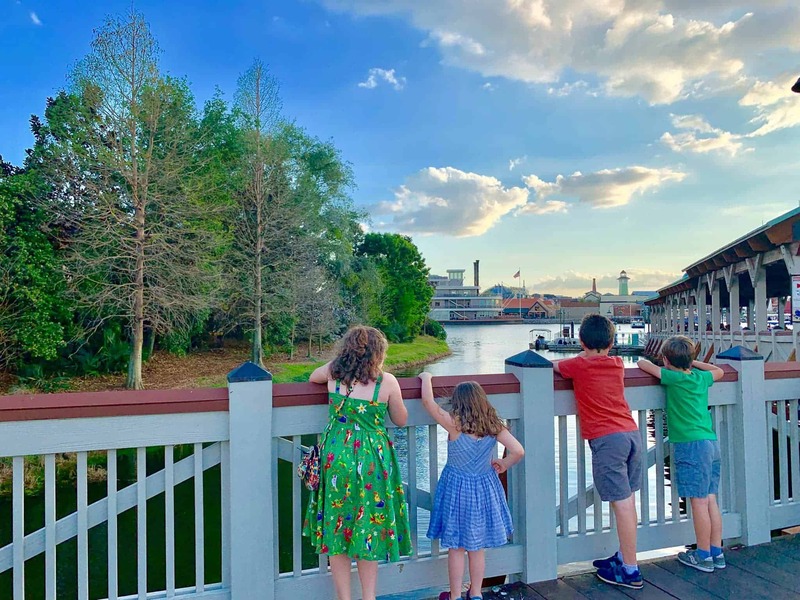 If you’re traveling for the short-term, you can follow the homeschool laws of your home state. If you end up making it a long-term thing, you’ll want to check with the HSLDA to be sure you’re following the guidelines you need to, but everything we’ve read has said that as long as you’re registered in your home state, you’re good to go. Roadschooling Families Facebook Page – One of the best roadschooling fan pages, lots of info. Roadschooling Gypsies Facebook Page – Tales of roadschooling, plus printables and more. 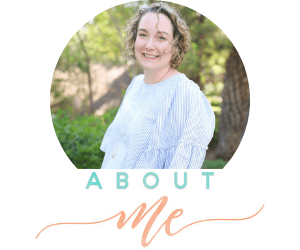 Roadschooling Moms Facebook Group – Connect with other roadschooling moms! Homeschooling with Netflix and Other Streaming Media – Tons of resources and ideas. Homeschooling with Netflix – Over 30,000 members in this group! Have you tried roadschooling? Would you? Wow, so many great resources!! We are getting ready to roadschool our 3 and 6-year-old boys and it’s so great to read about your experience. We are off at the end of October and I am starting to write about our trip (planning at this point – so much goes into it). I’m definitely going to check out your resource links!! Your post has been a blessing to me. We are in transition to traveling full time, and this the topic im most stressed about. I’m such a TypeA personality and feel like I need a ligned up curriculum to follow but also want to freedom of doing what the kids feel led to do. We have a almost 3 and almost 5 year old. I am saving this post to do more research and planning! Thank you for sharing!